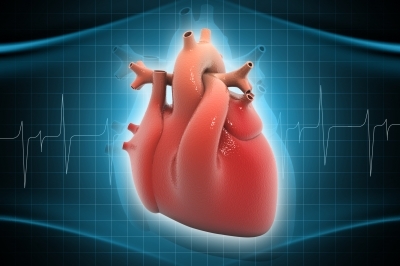 Medical devices maker CardioFocus has secured CE mark approval for its next-generation HeartLight Excalibur Balloon to treat atrial fibrillation (AF). The Excalibur Balloon is said to leverage the universal balloon design of the firm’s FDA-approved HeartLight endoscopic ablation system. The next-generation technology helps to advance the speed and magnitude of target tissue contact during pulmonary vein isolation (PVI) procedures. Excalibur Balloon also integrates advanced Dynamic Response technology that allows the balloon to respond to a range of user techniques and amounts of pressure applied, while enhancing vein contact. The technology enables to maximize the engagement of the balloon with the pulmonary veins, while reducing the time needed to complete ablation procedures. The company intends to begin a controlled launch of the Excalibur Balloon in Europe during the fourth quarter of this year. According to the company, around 33 million patients suffer from AF across the globe, while it is estimated to be around 17 million by 2030 in Europe alone. CardioFocus chief operating officer Burke Barrett said: "The new HeartLight Excalibur Balloon is designed to capitalize on the existing features of our HeartLight System, which offer an accurate, consistent and controlled treatment option for AF patients whose heart arrhythmias are insufficiently controlled with medication. "The timely clinical evaluation and subsequent approval of Excalibur in Europe reflects the strong performance of the technology and highlights the significant advances made with the Excalibur Balloon." Image: CardioFocus’ next-generation HeartLight Excalibur Balloon will be used to treat atrial fibrillation. Photo: courtesy of rajcreationzs / FreeDigitalPhotos.net.